The Ford GT was pretty damn close to automotive perfection. Now Galpin Auto Sports gave the last GT a new body, two turbos, and a grand total of 1,024 horsepower. What is this GTR1, the pluperfect? Galpin is talking 1,024 horsepower, 734 lb-ft of torque, 0-60 in an estimate 3.1 seconds and 0-100 in around 6.8. Top speed? 225. The Ford GT is a regular champ at the standing mile game, so it's no question that a twin-turbo GT chassis would be fast. 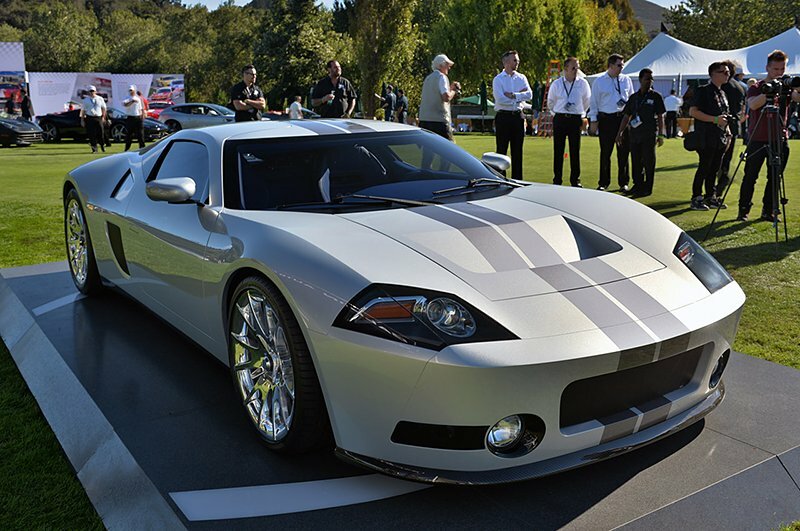 Rebodying a GT into something that looks good is more of a challenge, and Galpin got it all right. The body, if anything, is basically the Ford GR1 concept, which could have become the next Ford GT anyway. After 12,000 man hours, Galpin is saying that they've finally finished their GTR1 and it will be ready for its debut at The Quail today. I'm glad I'm not there, because they'd probably make me clean up my drool from off the fenders.